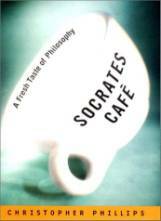 Socrates Café`, by Christopher Phillips, a look at what happens when you bring philosophical power to the people. Pizza and philosophy make for a good combination. You might want to try it sometimes. I occasionally have these evenings of food for the brain and the stomach with a few friends, some of them actual philosophers, some simply willing to explore and question whatever topic was chosen for the gathering. These discussions occasionally offer me the launching point for one of these columns, as in the case of the “Red or Blue?” one on the rationality of preferring harsh truths to pleasant lies (Rationally Speaking n. 9, April 2001). Recently our group met again to discuss what one could refer to as “the dark side of philosophy.” The starting question is simple: if philosophy is, as the ancient Greeks called it, the “love of wisdom,” should we expect practicing philosophers to be—on average—more wise than the layperson? Since this is not the focus, but the premise, of this column, let us assume for the time being that in fact philosophy provides at least in some sense knowledge of a variety of subject matters, and let us spotlight ethics in particular. Then we can proceed to ask if philosophers—on average—are more ethical than the rest of us. When I asked the question to my philosopher friends they couldn’t avoid a sarcastic smile, as if the answer were clearly negative. Was it just modesty, or can we find factual evidence for this startling result? If we look at modern biographies of some major philosophers, we do not find much to rejoice. Bertrand Russell was known to write love letters to one mistress immediately after getting out of the bad of another one. Then again, Russell did defend a very liberal conception of love and human relationships, so at least he was not being incoherent. Wittgenstein had a bad temper and once hit a young girl until her nose bled because she didn’t understand logic. Such teaching methods would not be condoned today, but Wittgenstein was a logician, not a moral philosopher. Even if one is willing to condemn this sort of actions, this hardly amounts to an indictment of the teachings of philosophy, not any more than discovering that your doctor smokes or eats triple cheeseburgers can be used as an excuse for dismissing his counsel on diet. The real dark side of philosophy, as is the case for science, is largely outside the control of philosophers (or scientists). 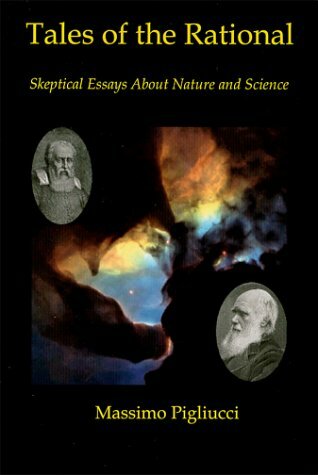 I am referring to the inappropriate use that ideologues and demagogues make of philosophical doctrines (or scientific discoveries) largely, though not necessarily entirely, without the help of the philosophers themselves. Perhaps the best example is the association between the Nazi political movement and the German philosopher Friedrich Nietzsche. 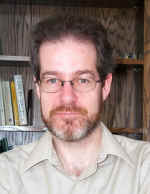 While the latter’s ideas about individualism and the power of the “super man” may hint at a superficial relationship with Hitler’s madness, it turns out that even a cursory reading of the philosopher shows that he was adamantly opposed to militarism, nationalism and dictatorships—nothing could be further from the structure of the Third Reich. Along similar lines, of course, it is common knowledge that most prominent communists have been more Marxists than Marx (just as some evolutionary biologists are more Darwinists than Darwin). Very few philosophers have ever attempted to translate their theories into political realities, Aristotle’s nurturing of the young Alexander the Great and Plato’s plans of influencing the tyrant of Syracuse being among the scarce examples, and little or no harm has ever derived from such utopian attempts. 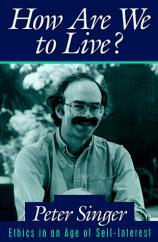 How Are We to Live?, by Peter Singer. A philosopher who puts his money where his mouth is. The Philosopher’s Magazine, which recently published a special feature on the dark side of philosophy. The Society for Philosophical Inquiry, established by Christopher Phillips to bring philosophy to the masses.